The essential oil extracted from yarrow (scientific name Achillea millefolium) is widely employed to cure allergies as well as provide relief from stress. It also offers us numerous other health benefits. This essential oil has a vivid deep blue hue and has a pleasant sweet aroma. Only a few other essential oils have such a wonderful color. As far as the name of this herb is concerned, there is an interesting story behind it. The scientific name of yarrow is Achillea millefolium and the genus name of this species is derived from the Greek mythology. It suggests that the great Greek warrior Achilles used yarrow during battles to heal the wounds sustained by soldiers. Yarrow possesses the aptitude to stop hemorrhages quickly. Therefore, the essential oil extracted from the herb is also excellent for stopping bleeding and treating wounds. 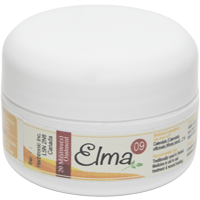 This essential oil is obtained from the dehydrated herb by the steam distillation process. Yarrow essential oil possesses anti-inflammatory properties, so it is able to deal with all types of inflammations effectively. This may include inflammation of the respiratory tract, including the nose, due to common cold; the digestive system owing to overheating following consumption of spicy foods; or maybe even inflammation of the circulatory system due to the presence of toxic substances like venom, narcotics and others in the blood stream. Since, this oil promotes circulation it is highly beneficial for people suffering from arthritis and rheumatism. It not only helps to promote circulation, but also puts off the build-up of uric acid in the joints and muscles, thereby curing arthritis and rheumatism. In addition, the diaphoretic property of yarrow essential oil facilitates the removal of toxic substances from the body by stimulating sweating. This oil also possesses antibacterial, antiviral and antifungal properties. Use of yarrow essential oil shields the wounds from becoming septic. It also helps to combat various bacteria, viruses and fungi that may be attacking our body. Application of this oil on wounds forms a protective covering on them, besides triggering the leucocytes and blood platelets at the affected site, which, in turn, prevents the microbes from invading the area. In addition, this oil also kills bacteria, fungi and viruses that may have already infected the wounds. The main function of any astringent agent is to cause contractions of the tissues, muscles and also the blood vessels. Yarrow essential oil has this effect on the above mentioned body parts and this proves to be beneficial for our health. This oil causes the gums to contract, thereby securing our teeth. When applied to the scalp as well as the hair follicles, this essential oil works to make the hair stronger and stop hair loss. In addition, topical application of the essential oil of yarrow helps to improve loose muscles and skin caused by the aging process. This action of the oil makes one appear youthful and more attractive. At the same time, yarrow essential oil possesses the aptitude to stop or lessen hemorrhage (bleeding) by contracting the blood vessels. You may also try yarrow essential oil for dealing with conditions like indigestion, flatulence, chest pain, heaviness in the intestines and the chest, lack of appetite, and stomach aches. This oil helps to remove the gas formed in the intestine through a downward path and also prevents forming of new gas or accumulation of gas in the digestive system. This oil helps to promote digestion, as it stimulates the secretion of various digestive juices, including acids and bile, into the stomach. Moreover, yarrow essential oil also helps to reinstate the health of the liver as well as other different digestive organs. Compared to various synthetically flavoured petroleum gels that are meant to cure scars and remove the blemishes left by acne, boils, pimples and wounds, application of yarrow essential oil is much better, as it does not cause any side effects. Yarrow essential oil promotes sweating and, thereby helps to eliminate toxic substances, surplus water and excessive salts from the body. In addition, it also helps to make the body cooler and provides relief from fever. At the same time, it is an effective weight loss agent, as it promotes urination. Urine contains about 4 percent of fat. Since this essential oil possesses expectorant properties, it is effective in clearing chest congestion. At the same time, it helps to keep the bronchi and nose clear, while providing relief from phlegm. Yarrow essential oil also assists in treating colds and it is especially helpful in keeping coughs in control. The essential oil of yarrow is also beneficial for women. It helps to treat obstructed menses and make them regular. In addition, it is also helpful in alleviating other problems associated with menstrual periods like headaches, fatigue, nausea, abdominal pains. Aside from treating these problems effectively, yarrow essential oil is also useful in avoiding the occurrence of early or untimely menopause. Yarrow essential oil is also excellent for skin care, as it is effective in maintaining a softer and smoother skin. It helps the skin to retain the right amount of moisture and keep it always hydrated. Topical application of yarrow essential oil helps to avoid dry skin, cracks on the skin and protects it from infections. At the same time, it helps to remove the unsightly blemishes from the skin. The stomachic property of yarrow essential oil helps to sustain the health of your stomach by ensuring the healthy secretion of digestive juices in this organ. This oil helps to maintain the appropriate balance between bile and acid in order to neutralize excessive acids. At the same time, internal use of the essential oil of yarrow helps to heal wounds, if there are any in the stomach. Moreover, it works to ease the stomach and alleviated inflammation. The essential oil of yarrow also possesses tonic properties, which assist in toning up the entire body. Aside from optimizing the metabolic activities such as breaking down the ingested foods and assimilation the nutrients from these foods, it helps to tone up the stomach, liver and intestines. Moreover, the use of this essential oil makes sure that you develop into a healthier and strong person. In addition, yarrow essential oil also ensures proper excretion, controls the secretion of hormones and enzymes from the endocrinal glands and also strengthens the nervous system, thereby making an individual more active and alert. Last, but not the least important, this essential oil also works to perk up the immune system, thereby protecting people using it from various types of infections. Applying a diluted solution of yarrow essential oil on wounds can aid in speeding up the healing process as well as project them from all types of infections. On the other hand, you can also blend this oil with any good skin care cream and apply it on wounds for the same purpose. Aside from curing external wounds, yarrow essential oil is also effective in healing wounds, cuts as well as ulcers inside the body. The essential oil of yarrow also possesses relaxing properties, which is highly beneficial for people suffering from insomnia and too much stress. Such people are eager for some relaxation and sound sleep. In fact, yarrow essential oil is a real blessing for such people. This oil helps the nerves, brain as well as the muscles to relax. At the same time, it helps to lower high blood pressure (hypertension) and promotes sound and an energizing sleep. It is much safer and better to use yarrow essential oil for this purpose compared to using harmful synthetic sedative substances like pills, narcotics and alcohol. In the long run, these synthetic substances will take a toll on your body and be responsible for devastating your health. Yarrow essential oil possesses febrifuge properties, which helps to lower the body temperature during fevers by encouraging sweating. This is mainly because the oil is a natural diaphoretic. At the same time, yarrow essential oil also combats infections that are responsible for fevers. In addition, it helps to alleviate inflammation caused by fever. You can use this essential oil to successfully lessen and also stop hemorrhage, as it possesses hemostatic properties, which are attributed to the oil's astringent nature. Owing to its astringent property, yarrow essential oil helps to cause contractions in the blood vessels that are hemorrhaging, thereby stopping the unwanted bleeding. People who are enduring hypertension (high blood pressure) and are living under constant risk of developing brain hemorrhage or heart attack will find this herb very beneficial. They may try yarrow essential oil as a safe substitute for synthetic drugs that are meant to lower high blood pressure. Administering this essential oil in low as well as mild doses may prove to be effective in bringing down high blood pressure methodically. However, one should not use this essential oil for a prolonged period. Despite its numerous benefits, you need to exercise certain cautions while using yarrow essential oil. For instance, never use this oil during pregnancy. Moreover, using yarrow essential oil for a prolonged period may result in headaches, in addition to causing skin irritations, especially in people with sensitive skin.